Elena moved to Toronto from Germany in 2006, and has now practised massage therapy for four years. She initially worked for L’Arche, an organization that provides homes for people with physical and mental disabilities. Elena was inspired there by a massage therapist who helped the residents relax and improve, and began her own training in massage shortly after. 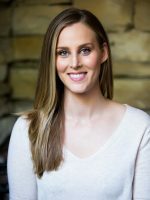 She views massage therapy as an important part of overall wellness, and an integral part of preventative healthcare, along with fitness and nutrition. Elena likes to stay active, and takes classes in many types of exercise, including yoga and pilates. She also enjoys horse-back riding in her spare time. Elena speaks German and English fluently.